When the leaves start to turn shades of burnt amber and scatter the pathways-with that added chill in the air, you soon come to realise that the "layering-season" (*ahem* autumn) has made its long awaited arrival. 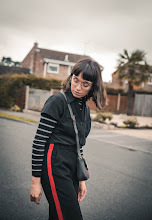 With layering top on my list, when it comes to planning outfits as of late, there is nothing like feeling *cosy* under, oversized jumpers and cardigans. 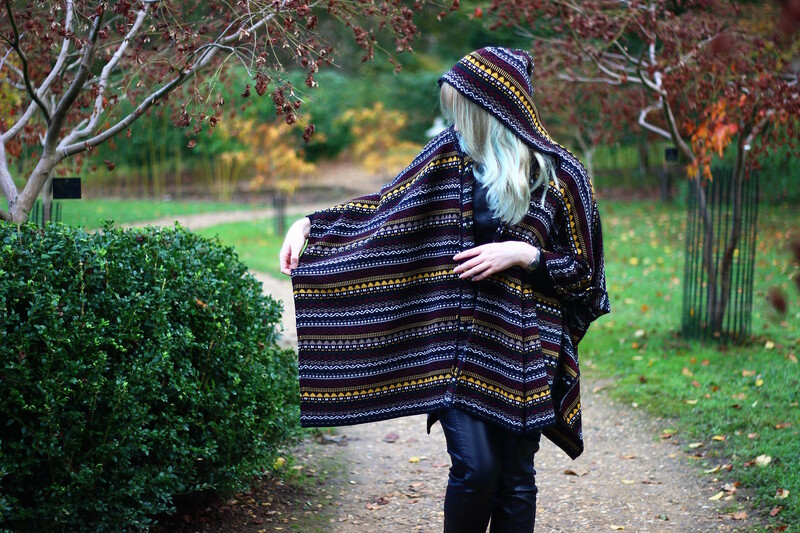 This blanket cape, from BritFash, is perfect for just that as you literally 'throw' it over any ol' outfit for that added autumn touch. 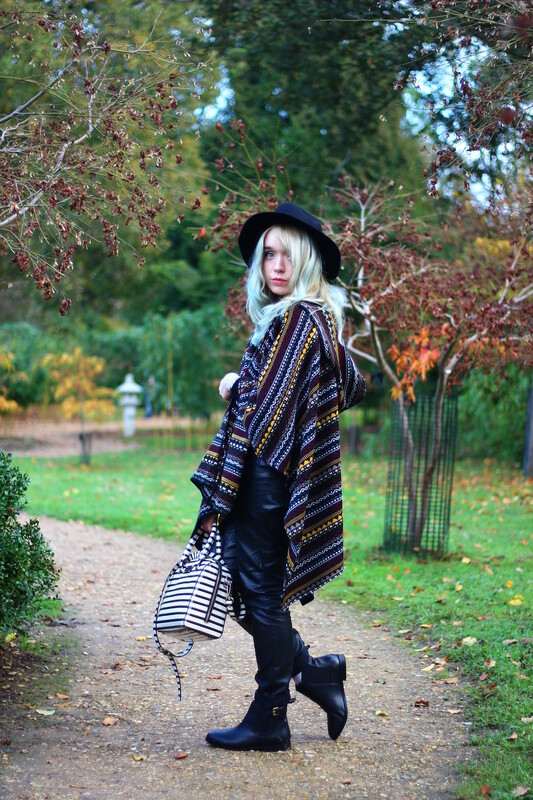 I am obsessed with the aztec print as it embodies that whole effortless, boho vibe that I love to channel every so often. In addition to becoming a statement piece in itself, as this trend-worthy coat can instantly add something unexpected, to the most basic outfits. This look is so gorgeous ! 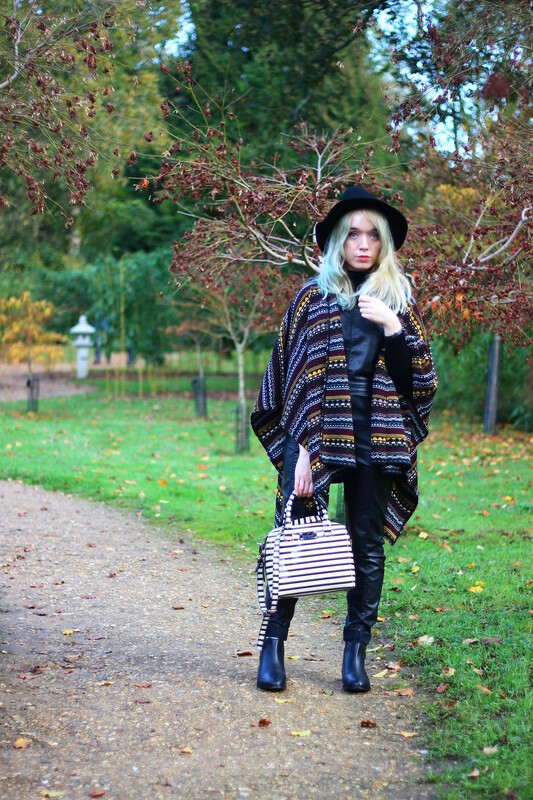 Love the bag and the cape ! 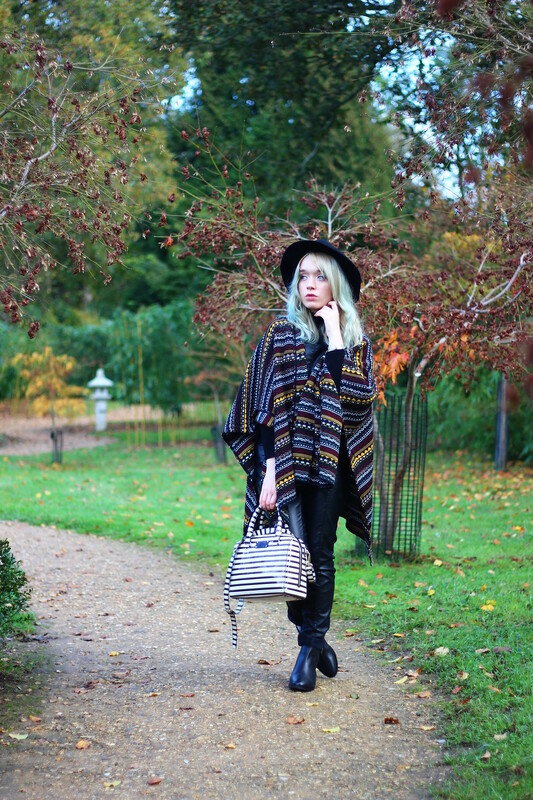 I love these blanket coats, yours is such a cool pattern & i love how you've styled it! It is so perfect for winter - love it!